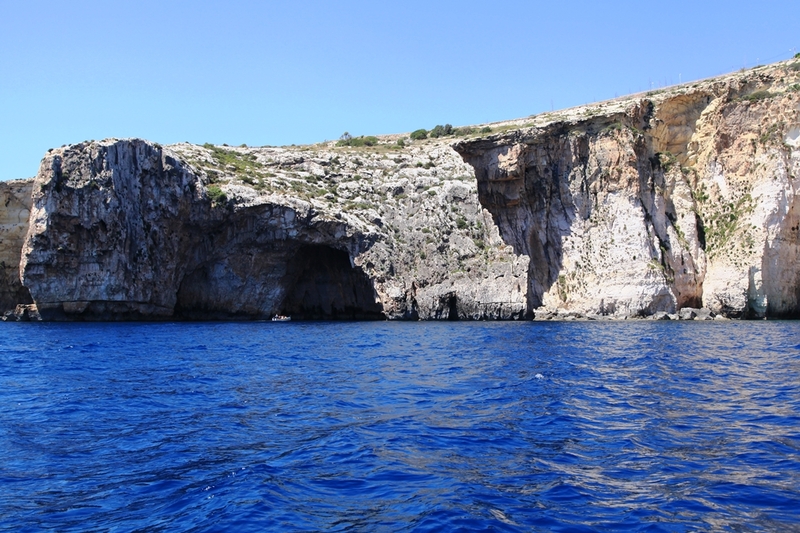 The Blue Grotto is a number of sea caverns on the South Coast of Malta, located within the Qrendi village, near "Wied iz-Zurrieq" and right side is alsoacross from the small uninhabited islet of Filfla except for a distinctive species of lizards that live there. 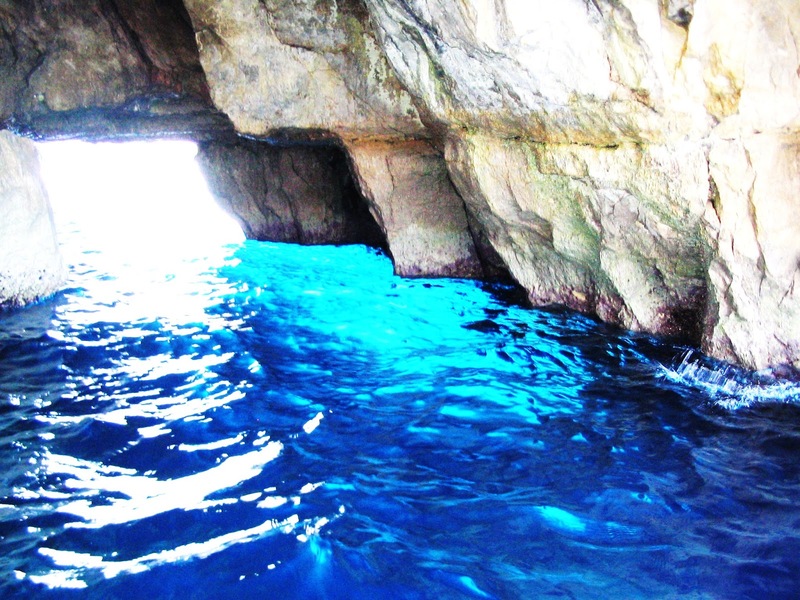 There is a unique site every day from sunrise until about 1pm when cave combined with the sunlight lead to the water mirroring showing various shades of blue. 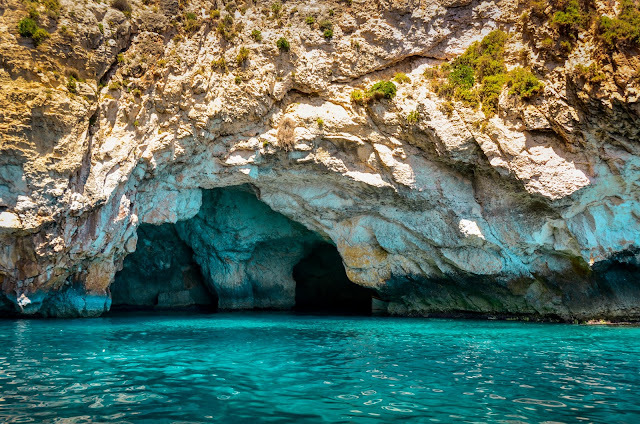 There are so many caverns mirror the brilliant phosphorescent colors of the underwater flora; other caverns show a deep dark shade of blue. The Blue Grotto started to get its name in the early 1950’s, when the British army personnel located in Malta, to ask local fisherman to take them for a boat trip to the Blue Grotto sea caves. 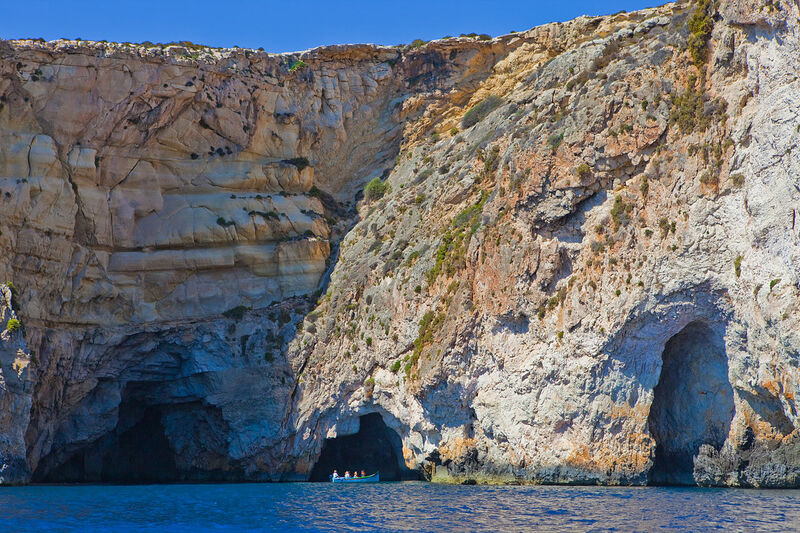 However, with the passage of time it became so famous that the fishermen started to offer this service to tourists and locals alike. 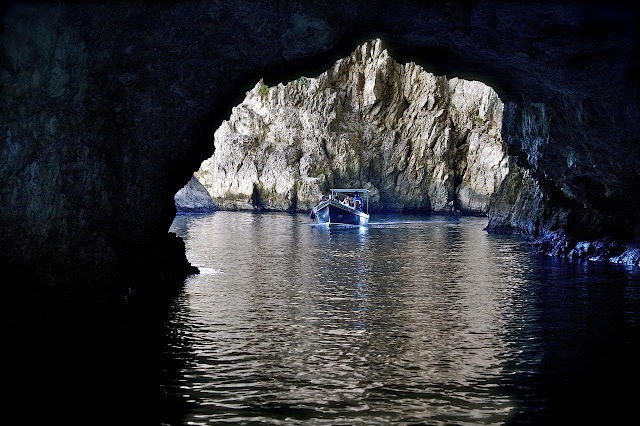 Well, this site should not be confused with its namesake, the Blue Grotto in Capri, Italy. 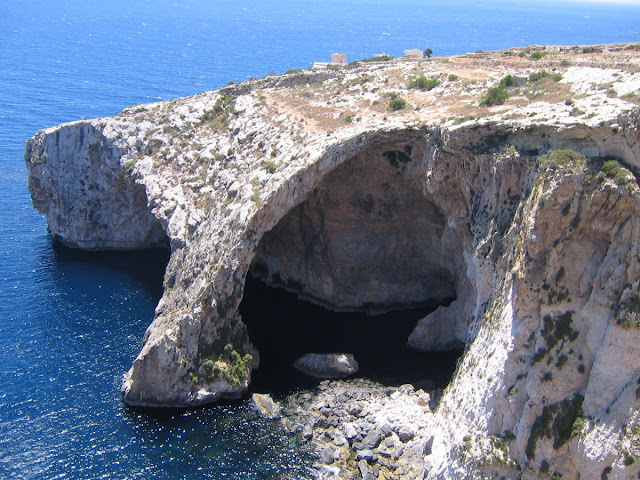 Therefore, the Blue Grotto is popular tourists destination on the island of Malta with many boat trips visit the caves, scuba diving snorkeling and rock climbing being the most admired activities here. 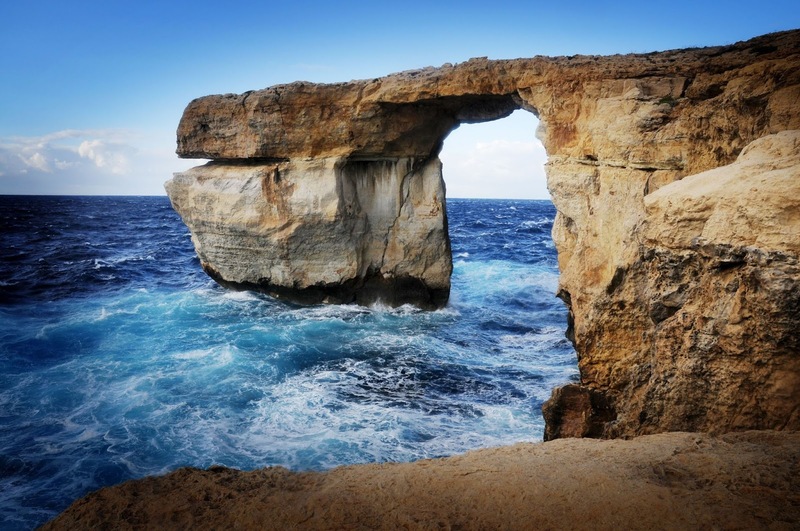 Moreover the local restaurants are offering delicious food with majestic sea views. This location is very popular between filmmakers, and promotional videos about Malta. The water is incredibly blue, which is attracting more than 100,000 tourists per year. 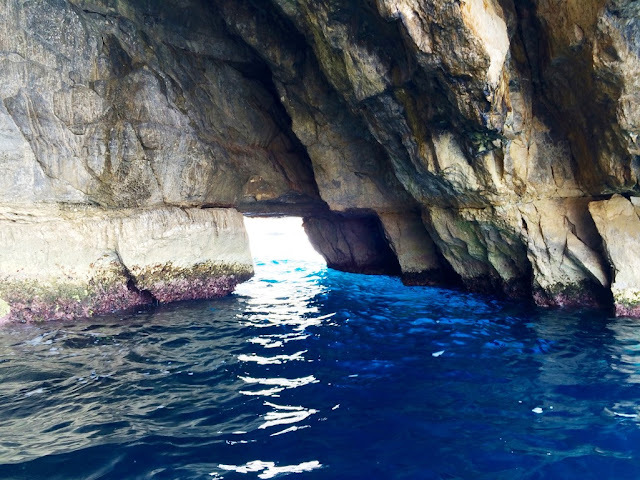 Moreover, there is a massive arch more than 30m and six caves formed by centuries of constant erosion of waves reflects the white sandy beaches giving off a vivid cobalt colors. The natural arch is a unique byproduct of the local coralline limestone, which tends to fracture and erode from the continually pounding waves. 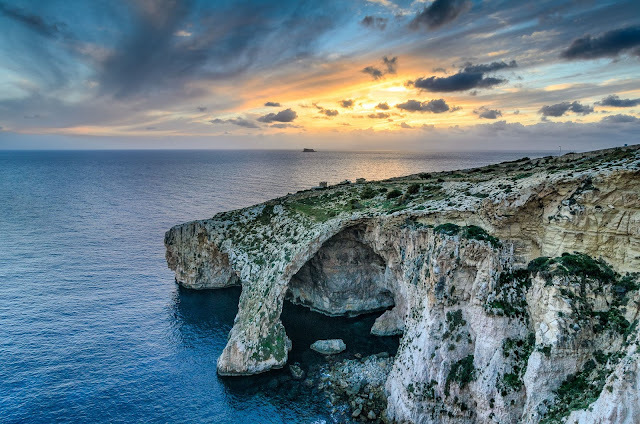 This particular spectacle of colors can be seen daily which is presents exceptional photographic backgrounds to picture lovers. So, this wonderful natural Grotto and its neighboring system of caverns mirrors and scenery around are breathtaking. 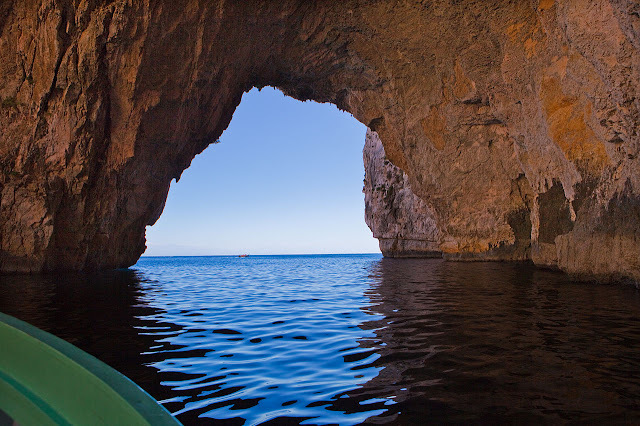 It is highly advised to visit Blue Grotto early in the morning to avoid summer rush. At that time, you can enjoy caves at their best; sea is calmer, sunrises, sufficient time to enjoy this natural wonder.